70805 (first sighting for me), Redbridge, 4th June with 6Z30 from Westbury. Thanks for the wave! 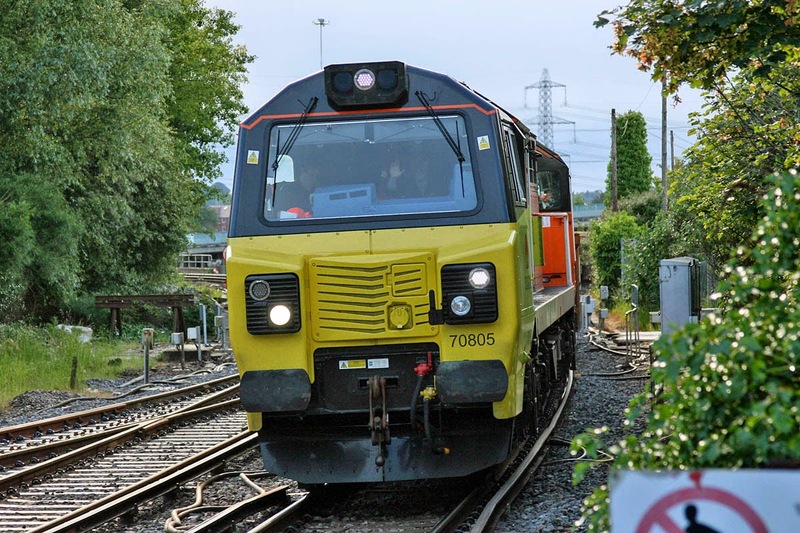 70801 is reported as repaired, 70807 may have received attention at Eastleigh during the week. 70803 is still inside Eastleigh Works A/500 (Electrical power and control equipment - this code is not the main generator or traction motors). It appears to have arrived on 13th May, and is seen on works on 14th.